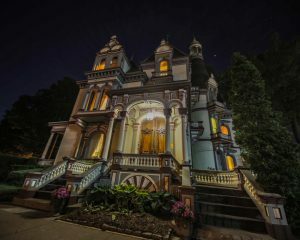 Spooky events and notorious individuals may have happened long ago, but their stories live on today. So there’s nothing to be scared of or worry about — or is there? 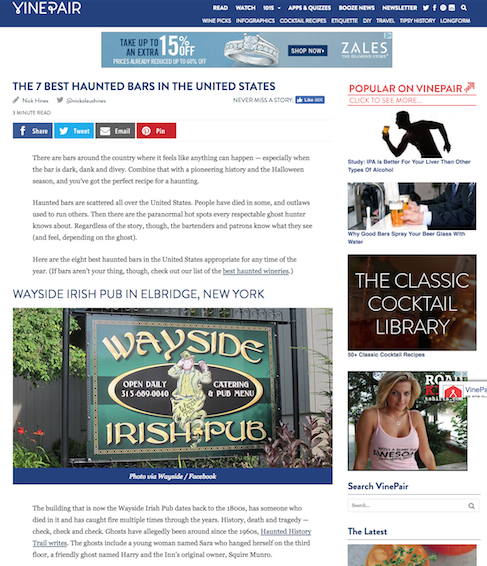 The Haunted History Trail offers over 400 miles of haunted attractions, dining and accommodations in New York State. The Trail started in Fall 2013 as a way to encourage guests of all ages to explore some of New York State’s most interesting and intriguing places. By 2016, the trail needed help to promote it through a national public relations program, and management of the trail’s Twitter handle. Who you gonna call? They called Break the Ice Media (BTI). Our strategic objectives included positioning Haunted History Trail stops as year-round destinations and encouraging visitors to travel along the trail. 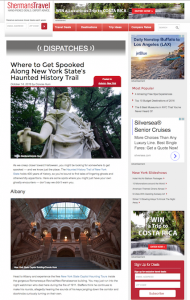 We developed themes and created consistent with the Haunted History Trail brand. BTI highlighted destinations and experiences on the trail that would target leisure travelers in drive-able feeder markets who are curious about the paranormal, like guided tours, and storytelling — as well as thrill-seekers and those serious about paranormal investigations. By 2017, BTI’s partnership with the trail expanded to include all social media management across Facebook, Twitter, Instagram, and Pinterest; paid social media advertising; national public relations and media relations; content development; production of a trail-wide travel guide; and asset and partner management. In 2016, Break the Ice Media secured 301 total media placements and 36 social media mentions from top-tier media outlets because of our national public relations push. This resulted in 30,378,411 total media impressions. Three journalists took part in individual media trips to experience the trail firsthand and produced articles from their visits. 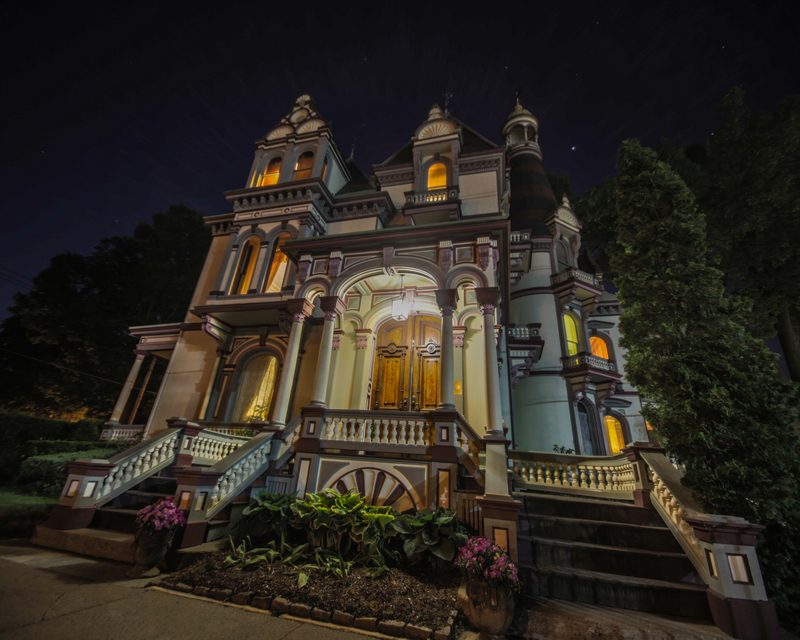 We developed a media kit and press room for the Haunted History Trail website. In October 2016, BTI executed a Twitter contest resulting in 60,407 social impressions.